Charge Case & Stand is an amazing way to use your iPad. While it is on the stand, your IPad is charging and when you need it to go, the case keeps it protected. 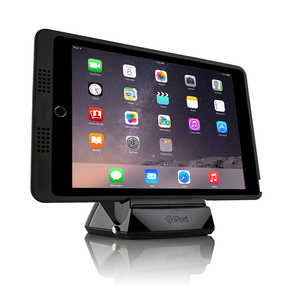 The Charge Stand adjusts to 3 different mounting angles and charges your iPad while it is in its Case. You can also adjust your IPad in either portrait or landscape orientations. Your Charge Stand uses magnets to auto-align the case for charging and secure mounting. 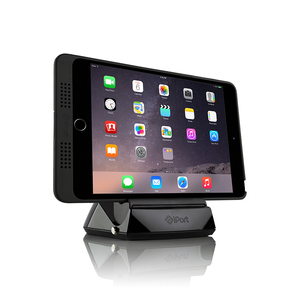 Charger Case and Stand is a dock system that magnetically holds your IPad allowing you to simply turn your IPad in either a vertical or horizontal position. Charger Case and Stand only works with Apple products. 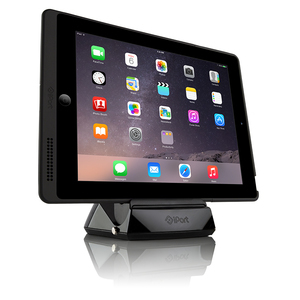 Charger Case and Stand allows you to remove your IPad from the dock. Charger Case and Stand also charges your IPad with no wires using magnet induction. Charger Case and Stand requires your IPad to be in a case. Charger Case and Stand ​requires a 110vac power outlet near the dock mount. Charger Case can recline backwards at an angle for better viewing and typing. ​Charge Case protects iPad from the bustle of travel and the accidental drop or nudge, all in an elegant and thin case sporting a soft-touch finish that feels great in your hands.